Green Dog Pet Supply - Your Bag of Kibble Might Have Pretty Pictures, But Do You Know What’s Inside? Posted May 22, 2012 by Green Dog & filed under cat health, diet and health, pet food ingredients, poisons and toxins, specific ingredients, Useful. We all love our pets as members of our families and want to do the very best we can to keep them healthy and happy, but many of us overlook the very foundation of health for our pets – their nutrition. Just as our own health is affected by our daily nutrition habits, dogs and cats can develop chronic health issues like diabetes, skin allergies, inflammation issues such as arthritis, yeast overgrowth, bowel issues, urinary infections or crystals, and even cancer. We often don’t realize that chronic issues are developing at a cellular level, and of course many pets seem “fine” until a crisis occurs. Of course, the very best way to support our own health and the health of our companion animals is for all of us to eat more whole foods and cut out processed foods as much as we can. However, processed kibbles have come quite a long way in the past 10 years, and there is a great disparity between what you might find on the pet aisle of your local grocery store and what might be available at your local independent pet retailer. It is not legally required (it is actually prohibited) for manufacturers to use language on a pet food label that would help a consumer to know if the quality of the ingredients on a label are similar to the ingredients you might use to cook your own dinners or are simply waste products that were inappropriate for use in human foods, though there are some things to look out for on kibble labels that will give you a good idea. I hope to empower you to recognize some of these “red flag” and “green flag” ingredients that might help you to determine the quality of the ingredients in any dry kibble you’re feeding to your pets. You are not to be blamed sometimes for choosing a food that might not be the greatest. It’s so hard for consumers to discern what is an appropriate food to choose for our precious companions. Some of the reasons for this: The pet food industry is largely unregulated, waste products from the human food chain find a convenient market in many common pet foods, and the FDA allows foods that would in no way be appropriate for people to eat to be included in pet foods. To make it more difficult, existing rules of the pet food industry allow “unqualified claims, either directly or indirectly”, meaning truth in advertising laws do not apply to pet foods, and pet food companies do not have to divulge ingredients like chemical preservatives if they were already added to an ingredient that they have purchased and they did not add it themselves. They don’t even have to divulge who actually is manufacturing the foods you see on the shelves. Some of the brands that have the most beautiful labels in the industry contain some of the lowest quality ingredients, and most consumers trust that a bag that pictures fresh produce and lean cuts of meat would contain these ingredients in significant amounts. This is certainly not the case. So how can a consumer choose a food that won’t be harmful to their pets in the face of these problems? For the purposes of this discussion, I’ll be talking about kibble ingredients today. A tip for how to compare common kibbled dog foods: Look for the first fat source listed in the ingredient panel and read backwards; the first ingredients are the heaviest and make up the majority of the food – are the items in the beginning of that list things like corn, wheat and soy, or are they meat proteins? Pass over foods that are made primarily of grains. These ingredients, though not evil on their own are not appropriate primary sources of nutrition for a carnivore. For example, if you were to sometimes cut niblets off of corn cobs and sprinkle them over a dog’s diet, that wouldn’t be a bad thing at all (though you might see them again in the end product), and a cookie made with wheat or barley, etc won’t cause troubles for animals that don’t have sensitivities to them. These grains are simply used by manufacturers of foods because vegetable based proteins are far less expensive than meat based proteins. Trouble is, they are not as digestible as meat proteins, and so can lead to voluminous stools, digestive and skin problems and can have inflammatory effects on the body. Also, these vegetable proteins are also very high in carbs which can easily translate to weight gain and could contribute to chronic issues like diabetes. Because they are so much less digestible than meat proteins, they also can cause you to have to feed much larger amounts of food per feeding, which negates some of the savings people think they’re achieving with inexpensive pet foods. All kibble must have some grains or starches to hold the ingredients together and make little crunchy kibbles, but you don’t want the food to be made primarily of those grains and starches. More meat than carbs is the general rule of thumb. Avoid by-products. If by-products simply meant that fresh organ meats were included, then they wouldn’t be bad. When making a homemade diet for a carnivore, organ meats are an important component. However, by-products mean “all things that are not the muscle meat” including heads, feet, skin, bones, stomachs and intestines, brains, etc. Even though many of these parts could even be great if they were fresh and added to a homemade diet, in the pet food industry these ingredients are often handled like waste. These waste ingredients could contain chemical preservatives and may not have been protected from spoilage before processing (shipped in unrefrigerated trucks, for example), and very toxic “denaturing” chemicals may have been added to ensure they not be able to travel back to the human food chain. At best, by-products are a variable mix of pieces and parts that by definition cannot be consistent in their nutrient content. If a company wants to add fresh organ meats to their formulas for nutritional reasons, they would be listed individually on the label, ie: “lamb liver”. ingredient)? Some of the scariest ingredients in pet food come in the form of unnamed proteins and fats. Does the food contain the words “Meat Meal”, “Meat and Bone Meal” “Animal Digest” or “Animal Fat”? Avoid foods with these ingredients at all costs – these are Ingredients determined by the FDA to be most likely to contain pentobarbital – a drug used to euthanize animals; thus this pet food ingredient is most likely to contain the remains of a euthanized animal. 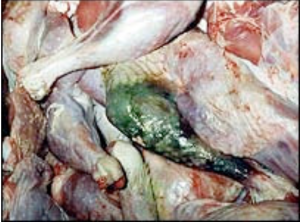 All species and sources of animal waste are sent to meat rendering plants, including animals that died previous to slaughter, diseased animals, road kill, euthanized animals of all kinds, expired supermarket meats, and restaurant waste. 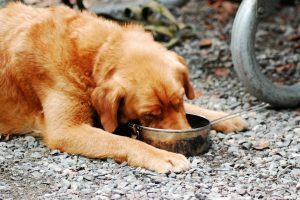 The fact that pentobarbital can be found in kibbles found on grocery store shelves using lab tests (FDA’s own study showed that 40% of the kibbles they tested showed positive results for pentobarbital) means that these chemicals, which do not “cook out” during the rendering process, might be in your pet’s bowl on a daily basis. These are unpleasant realities, but something that can be easily avoided by reading your labels carefully. Avoid chemical preservatives such as BHA/BHT (a known carcinogen, banned in many countries around the world but allowed in the U.S.) and ethoxyquin (banned in many countries including the U.S. except for trace amounts in some spices due to its carcinogenic effects), artificial colors (like red #40, yellow #5, etc) , and chemical additives such as Propylene Glycol (chemically very similar to antifreeze) often found in foods with soft chewy bits). Named proteins such as “Chicken” or “Chicken meal”, “Lamb” or “Lamb meal”, (etc) and named fats such as “Chicken Fat” and “Salmon Oil”. (“Chicken Meal” means that the water was removed from the chicken before it was weighed). If there are grains, they should be whole grains (such as “Barley” or “Brown Rice”) and not flours, hulls, or “mill run” (which means stuff left over once a grain’s usable parts are extracted). You might see some whole vegetables and fruits listed in the upper part of the list after the primary proteins. Two other “green flags” are the words “Chelated” or “Proteinated” in the mineral mix towards the bottom of the ingredient list. This means that the minerals are protein coated for better absorption – these are added with the intent of helping the animal eating them and not some sort of marketing scheme, as most people don’t know what they are! (We would prefer that all pet foods be made with whole foods only and entirely without the use of synthetic vitamin and mineral mixes, but for now, only a few brands such as Nature’s Logic (entirely without synthetics) and Orijen/Acana (almost entirely without synthetics) have achieved this in the kibbled food category). Another good indicator of a quality food are probiotics, similar to those you might find in your cultured yogurts (things like “acidophilus” and “lactobacillus”, and you might see the words “fermentation products”), which aid in the digestion of the ingredients on the label. They’re often listed at the end of the list, as they are applied after the kibble has cooled so they won’t be damaged by the heat of cooking. Though the probiotics you add yourself are generally more effective, the fact that the company is adding them is to attempt provide benefit. – Named proteins and fats (“chicken” vs. “animal” or “meat”). 2) “Ground yellow corn, chicken by-product meal, corn gluten meal, whole wheat flour, animal fat”. This brand has gorgeous packaging with photos of meat and vegetables, but corn is the primary source of protein, and is inappropriate for a carnivore. It’s very high in sugar which can lead to many difficult chronic issues such as diabetes, yeast infections, ear infections, skin issues and weight gain. It’s followed by by-products, more GMO corn, wheat which has many of the same problems as corn for carnivores), and the dreaded “animal fat”. They say, “Protein-rich nutrition, with real beef” but the beef isn’t listed until a few more ingredients down, along with the soy flour, meat and bone meal, propylene glycol, animal digest, and artificial colors. These are all things you really do not want to see. Some people balk at the idea of spending a bit more on pet food, but often a $10-$20 difference in the price of a big bag of dog food can save a significant amount of money in other ways, including being able to feed less of it per serving, as well as avoiding loads of expensive vet visits for simple problems that might be avoided with better nutrition, such as G.I. upset, gassiness, skin problems, itchy feet, and chronic ear infections. An animal that eats better sheds less, smells better, and poops less, not to mention how much longer they might live when provided with more appropriate nutrition. I’d like to point out that sometimes simply switching brands might get you better quality proteins and fats without increasing your price – remember that giant companies also have giant marketing budgets, a lot of staff and representatives, etc. Smaller companies you haven’t heard of may be putting more of their money into ingredient quality and less into marketing. Independent stores are often a good source of these sorts of brands. Many independent pet supply stores have employees who are trained in pet nutrition and so can answer questions and help you to choose something that works for you and your pet, and perhaps offer programs like Frequent Buyer Programs that can help to save you money. Many manufacturers also offer coupons on their websites or through e-mail newsletters. Note: If your local store carries foods that contain some of the “red flag” ingredients, then maybe they might not be well equipped to make suggestions as to what you should choose. Key Points to Remember: Avoid the ingredients that don’t specify the species of animal used, such as Animal Fat, Meat and Bone Meal, and Animal Digest! I encourage you to look at your label and see what it contains. If it’s time to change to a new brand, make sure to introduce a new food very slowly by blending a small amount into your old food to avoid digestive upset.